Find out how foster care and adoption can pay off with financial aid. I adopted a special needs foster child when he was 11 years old. I have been told he does not qualify for any aid. I recently learned that if I would have adopted him at age 13 he would of received a full scholarship. My son wants to attend a private college at approximately $43,000 per year. Do you have any information on grants or scholarship for former special needs foster children? — J.A. You are to be commended for adopting a foster child. According to the US Department of Health and Human Services, more than 100,000 children in foster care are waiting for adoption, but only about 50,000 are adopted each year. Visit AdoptUSKids.org for more information about foster care and adoption. It is unlikely that a foster child adopted after reaching age 13 would have qualified for a full scholarship at a private college. Rather, students who are in foster care, aged out of foster care or were adopted out of foster care after reaching age 13 are considered automatically independent on the Free Application for Federal Student Aid (FAFSA). Often this means that such children have a zero expected family contribution (EFC), which qualifies them for a full Pell Grant. But a full Pell Grant falls short of covering all college costs, except perhaps at a community college. In most cases a foster child will graduate from college with significant amounts of student loan debt. Independent student status is defined by section 480(d)(1) of the Higher Education Act of 1965 [20 USC 1087vv(d)(1)]. The College Cost Reduction and Access Act of 2007 (P.L. 110-84) and Higher Education Opportunity Act of 2008 (P.L. 110-315) changed the definition of independent student to include any student who "is an orphan, in foster care, or a ward of the court, or was an orphan, in foster care, or a ward of the court at any time when the individual was 13 years of age or older." This is in contrast with the previous statutory language, which did not mention foster care explicitly, just orphans and wards of the court. The previous statutory language also required the student to either currently be an orphan or ward of the court, or to have been one through age 18. The law was changed to allow teenage foster care children to be adopted without losing eligibility for federal student aid. Foster care students face special challenges and are less likely to enroll and graduate from college. For example, only 0.6% of undergraduate students identified themselves as orphans or wards of the court in 2007-08, based on data from the 2007-08 National Postsecondary Student Aid Study (NPSAS). This suggests that they are half as likely as other students to enroll in college. Almost a third (32.7%) of students who were orphans or wards of the court under age 24 in 2003-04 graduated with an undergraduate degree or certificate by 2009, compared with almost half (49.6%) of all other undergraduate students, based on data from the 2009 follow-up to the 2003-04 Beginning Postsecondary Students (BPS:04/09) longitudinal study. While foster children face many challenges on their way to a college education, it is possible to succeed. Derrius Quarles, who spent 9 years in the foster care system in the Chicago area, won scholarships from the Horatio Alger Association of Distinguished American Scholarship Program, Coca-Cola Scholarship Foundation, Dell Scholars Program and Gates Millennium Scholars, among others, earning him the title Million Dollar Scholar. His success should be an inspiration to all foster care youth. Most private scholarships for foster care students are restricted to children who are currently in foster care or who aged out of foster care. There are some for students who were adopted out of foster care, but these generally have geographic restrictions or are limited to students who are enrolled at specific colleges. For example, the Kansas Foster and Adoptive Children Scholarship Fund from the Greater Kansas City Community Foundation is limited to students who are or were foster children in the state of Kansas. Students should use the free Fastweb scholarship matching service to find scholarships that match their background situation. Fastweb enforces the scholarship's geographic and other restrictions, ensuring that the student sees only the scholarships for which he or she is eligible. Be sure to answer the optional questions, some of which relate to adoption status. Fastweb will also match the student to other relevant scholarships, such as the Horatio Alger National Scholarship for high school seniors who have "faced and overcome great obstacles in their young lives". There are also several national scholarships for former foster children and adopted children. The Fostering a Future Scholarship is restricted to children adopted out of foster care after reaching age 13. Foster Care to Success administers the Casey Family Scholars Program, which provides scholarships to former foster youth. The National Foster Parent Association sponsors the NFPA Youth Scholarship. The Orphan Society of America provides college scholarships for individuals who were orphaned by violence. Some states provide student financial aid or other assistance to children who spent time in the foster care system or who were adopted out of the foster care system. These scholarships and tuition waivers are usually restricted to students who enroll in the state's public colleges and universities. Funding may be restricted to students whose families previously received adoption assistance. 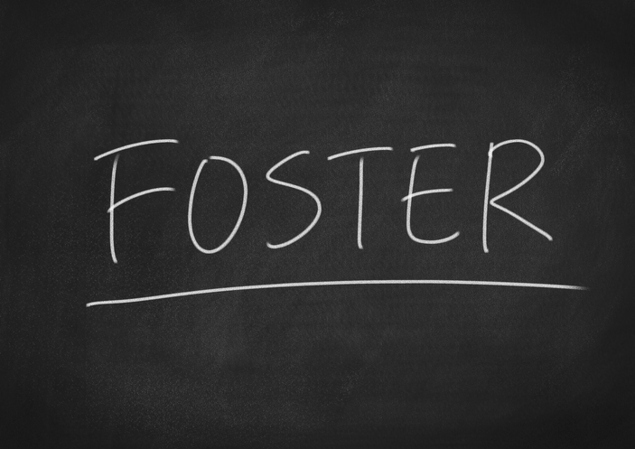 Some programs are limited to students who are in foster care or aged out of foster care, excluding students who were adopted out of foster care.